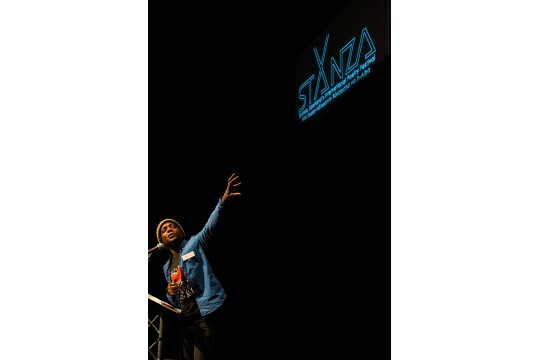 StAnza celebrates poetry and excellence in poetry with our annual festival and other events. 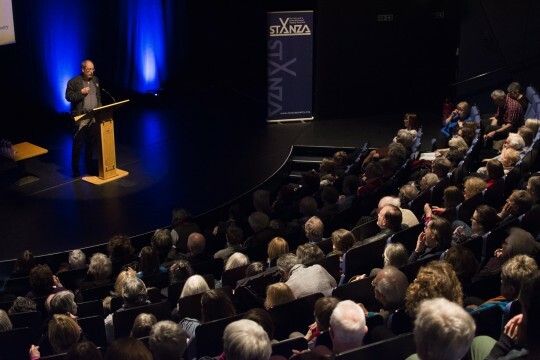 StAnza promotes and celebrates poetry from Scotland and elsewhere and educates about poetry. Our annual festival takes place each spring in St Andrews, with readings, performances and installations linking poetry to music, film and dance. We are active all year round, in part with digital projects such as our Poetry Map of Scotland and also in school and community projects. Our 2019 festival will take place from Wednesday 6th to Sunday 10th March. StAnza offers a wide range of stimulating, creative and accessible experiences with poetry and other art forms where the emphasis is always on excellence. These can be life changing experiences, and many from the local community attend the festival on a regular basis. 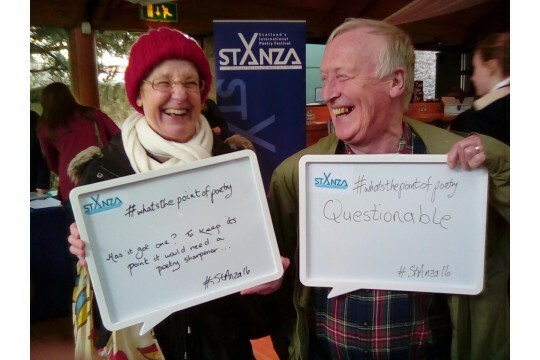 Local people on our planning committee and volunteers are given the opportunity of influential involvement in the arts and acquire transferable skills as a result of their involvement with StAnza. About 100 people volunteer at the festival each year and we have had total attendances at the festival in excess of 15,000 for the past three years. We delivered poetry experiences and encounters in excess of 60,000 over the past year, which included more than 40,000 experiences through our public art, school and community programmes. would buy a set of inks for our printer - the festival runs on schedules!